Twenty-three Sheridan High School students performed in the Southeast All-Region Choir Clinic and Concert, which was held at Drew Central / University of Arkansas at Monticello on Nov. 7. These talented students were selected for this prestigious honor through a competitive process of auditions that took place Oct. 17. 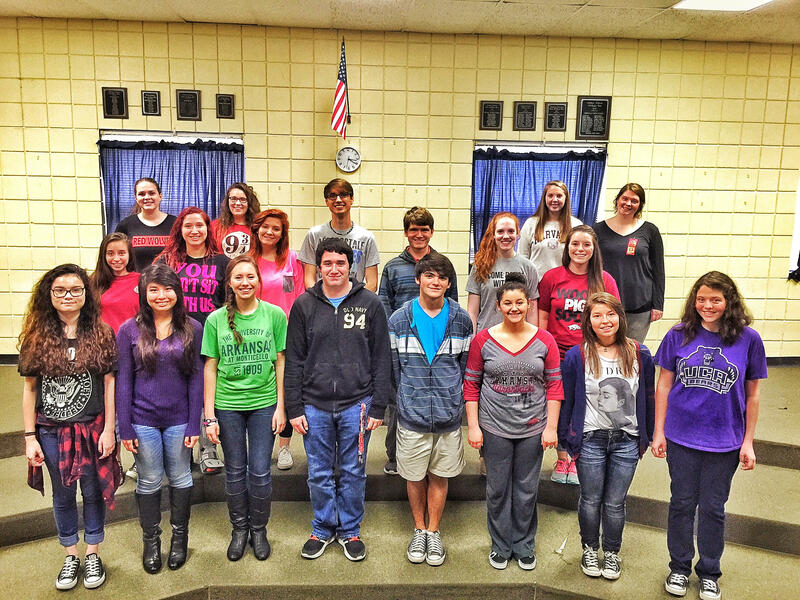 Additionally, 18 students qualified to advance to All-State auditions to be held Feb. 6, 2016. * Qualified to advance to All-State auditions.